The power grid of the future must be secure, cost-effective and environmentally compatible. The combination of these three tasks can be tackled with the help of ideas, intelligent solutions as well as advanced technologies. Innovative solutions with HVDC (High-Voltage Direct Current Transmission) and FACTS (Flexible AC Transmission Systems) have the potential to cope with the new challenges. By means of power electronics, they provide features which are necessary to avoid technical problems in the power systems, they increase the transmission capacity and system stability very efficiently and help to prevent cascading disturbances. The vision and enhancement strategy for the future electricity networks are, for example, depicted in the program for “Smart Grids“, which was developed within the European Technology Platform. Smart grids will help achieve a sustainable development. It is worthwhile mentioning that the smart grid vision is in the same way applicable to the system developments in other regions of the world. An increasingly liberalized market will encourage trading opportunities to be identified and developed. Smart grids are a necessary response to the environmental, social and political demands placed on energy supply. Today’s power transmission systems have the task of transmitting power from point A to point B reliably, safely and efficiently. It is also necessary to transmit power in a manner that is not harmful to the environment. Siemens offers comprehensive solutions, technical expertise and worldwide experience to help customers meet these challenges. For each application and technical transmission stage, Siemens offers optimized solutions with SIPLINK (Siemens Multifunctional Power Link), HVDC transmission or FACTS for the most efficient use of AC power systems and lines. 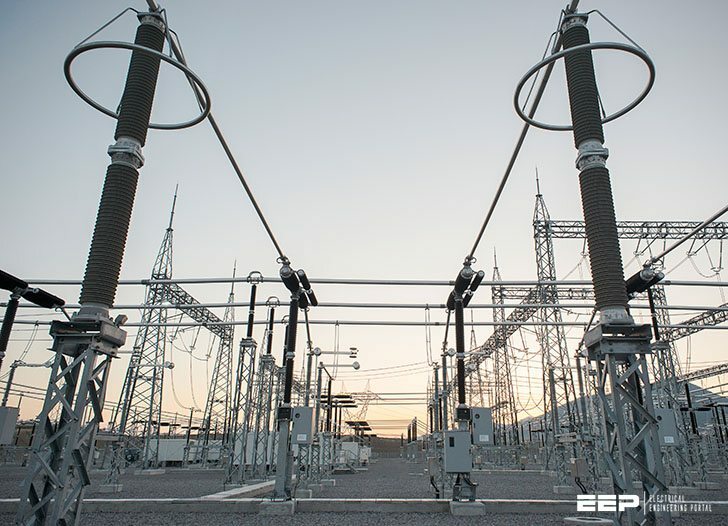 Typical applications for FACTS include fast voltage control, increased transmission capacity over long lines, power flow control in meshed systems, and power oscillation damping. With FACTS, more power can be transmitted within the power system. When technical or economical feasibility of conventional three-phase technology reaches its limit. HVDC will be the solution (fig. 1). Its main application areas are economical transmis-sion of bulk power over long distances and interconnection of asynchronous power grids. Figure 1 – AC versus DC transmission cost over distance. The break-even distance amounts to 600km for a power transmission of 1000 MW. Siemens’s latest innovation in high-voltage direct current technology is HVDC PLUS. The advantages of the new system, which employs voltage-sourced converters, include a compact layout of the converter stations and advanced control features such as independent active and reactive power control, and black start capability. For medium-voltage DC transmission, Siemens offers the SIPLINK system. Depending on the application and the configuration of the existing system, SIPLINK will reduce investment, system and lifecycle costs. The system controls the active power and opti-mizes voltage stability by providing reactive power. 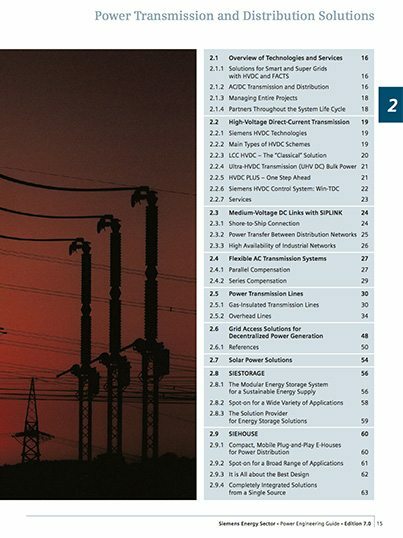 SIEMENS Power transmission & distribution solutions guide really helpful.